Don't Miss this singles weekend that takes us to the wonders of New Mexico! 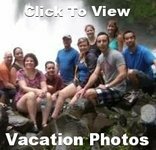 Meet new friends and make memories as we travel from Albuquerque to Santa Fe. Watch hundreds of balloons ascend at day break, then feel the excitement of the world famous Albuquerque Balloon Festival at night. Your Singles Vacation begins when you arrive in Albuquerque and are transferred to the Doubletree by Hilton Downton Albuquerque. Meet your Singles Host at 6:30 pm in the lobby for a meet and greet and dinner at the hotel (not included). This morning we head to the train station to board our 1 1/2 hour train ride to Santa Fe. We’ll head north along the picturesque Jemez Mountains to Santa Fe, the oldest capital city in the United States. You can visit one of the wonders of Santa Fe’s historic district, Loretto Chapel. Constructed in 1873, this striking Gothic chapel houses the Miraculous Staircase, a marvel of architectural ingenuity that some claim was designed and built by St. Joseph himself! For the shoppers, Santa Fe is a South Western haven. Governor’s Plaza is home to various shops and artists studios. After our fun day in Santa Fe we will coach back to Albuquerque and transferred directly to tonight's festivities. 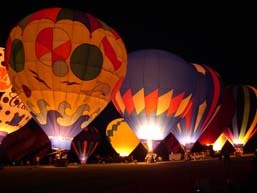 Tonight we enjoy the Balloon Glow, a signature Fiesta event that’s guaranteed to set the night sky ablaze. Just before dusk, nearly 500 balloons are tethered over the fiesta grounds. In unison, the pilots set their burners aglow, creating a luminous, magical display, followed by a spectacular fireworks show. It’s a pyrotechnical display you’ll not soon forget. You can also get your fill of junk food at the festival. Wake Up Early! 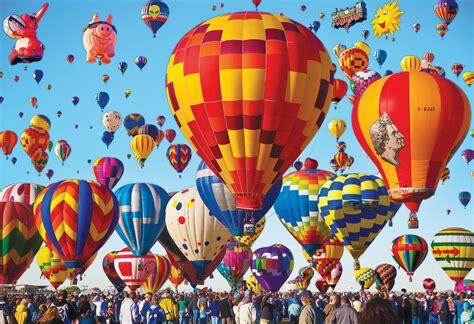 Today we attend the Balloon Fiesta Opening Ceremonies and “Mass Ascension” at sunrise. A sight not to be missed. Up, Up, and Away! imagine a blue sky filled with a kaleidoscope of dazzling colors and shapes. That’s what you’ll experience at the world’s largest balloon event, the Albuquerque Balloon Fiesta. Your spirits will soar as you watch more than 700 balloons from all over the world ascend into the skies over Albuquerque. Rise bright and early to witness the Opening Ceremonies, which are followed by a grand “mass ascension,” as hundreds of balloons – some vibrant, some whimsical – fill the skies over the grounds. After the balloons are gone... Enjoy a buffet lunch at the Sandia Casino before we ride the Sandia Peak Tramway! Sandia Mountain dominates the east-side of Albuquerque with its 5,000’ vertical rise. A visit to the top of this mountain is a much sought after experience by visitors. The tram ride itself is 15-minutes and travels through a few biological life zones, revealing deep canyons and an awe-inspiring view not soon to be forgotten. Notes: Due to the elevation, 10,378’, individuals with heart conditions or respiratory problems should consult their doctor before riding the tram. Dress in layers; the temperature can be 20 degrees cooler than in the city. Morning free to take a hot air balloon ride, relax or explore on your own. Then it is time to journey back in time in old town, established as a colonial farming village in 1706, Albuquerque’s Old Town neighborhood still bears the mark of its Spanish founders. Through narrow brick pathways to Spanish-style plazas and 18th-century adobe architecture, explore the heritage of Albuquerque’s varied past. Tonight enjoy our Farewell to Albuquerque Dinner at El Pinto Mexican Restaurant. Established in 1962, El Pinto has been featuring traditional New Mexican recipes from grandmother Josephina Chavez-Griggs ever since. Time for breakfast before our wonderful singles weekend in Albuquerque comes to an end. 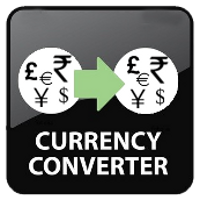 You will transfer to the airport according to your individual flight schedules. Have a safe flight home.